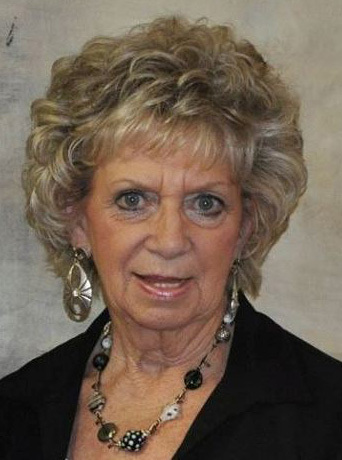 Shirley M Pepple, 73, of Bluford, Illinois passed away at 2:15 P.M. on Sunday, February 3, 2019 at her residence. She was born January 12, 1946 in Jefferson County, Illinois to the late James Melvin and Stella Marie (White) Donoho. Shirley married Robert E. Pepple on December 26, 1967 in her parents’ home in Mount Vernon, Illinois. Shirley is survived by her husband, Robert (Bob); son, Chad E Pepple; siblings, Barbara Voyles and husband, David of Wayne City, Laverne Donoho and wife, Patti of Capitan, New Mexico, Ron Donoho and wife, Carla of Mount Vernon, Illinois; several nieces and nephews; and great nieces and nephews. In addition to her parents, Shirley was preceded in death by her brother, Jimmy D. Donoho. Shirley had been employed as a bookkeeper for businesses such as Precision Engineering, Dr. Parker (optometrist), and General Radiator all of Mt. Vernon. Shirley later became owner/operator of Body Graphics in Mt. Vernon and European Tan Spa in Fairfield, Illinois. She later worked as a nail technician at Artistic Hair Salon. Shirley enjoyed providing these services to help women feel confident and beautiful. Shirley was described as a "classy lady." She was beautiful in appearance and in heart. She loved much and cherished spending time with family and friends, such as Georgetta (Stormy) Stedman, Helen Talbert, and Linda Myers. Shirley enjoyed spending time in her yard and flower garden. She took great pride in her flowers and received the "Yard of the Month" recognition in 2003 by the Bluford Ruritan Club. A celebration of life service will be held at a later date. Memorials can be made to the donor’s choice or to Bob Pepple.